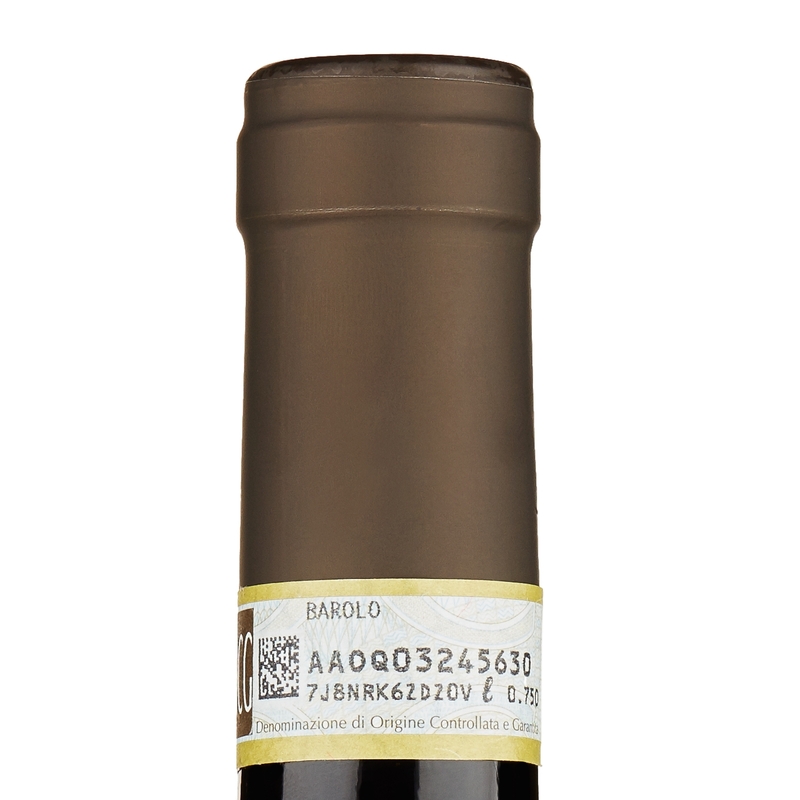 Deep garnet red, with a bouquet full of character, featuring scents of liquorice and withered violets. 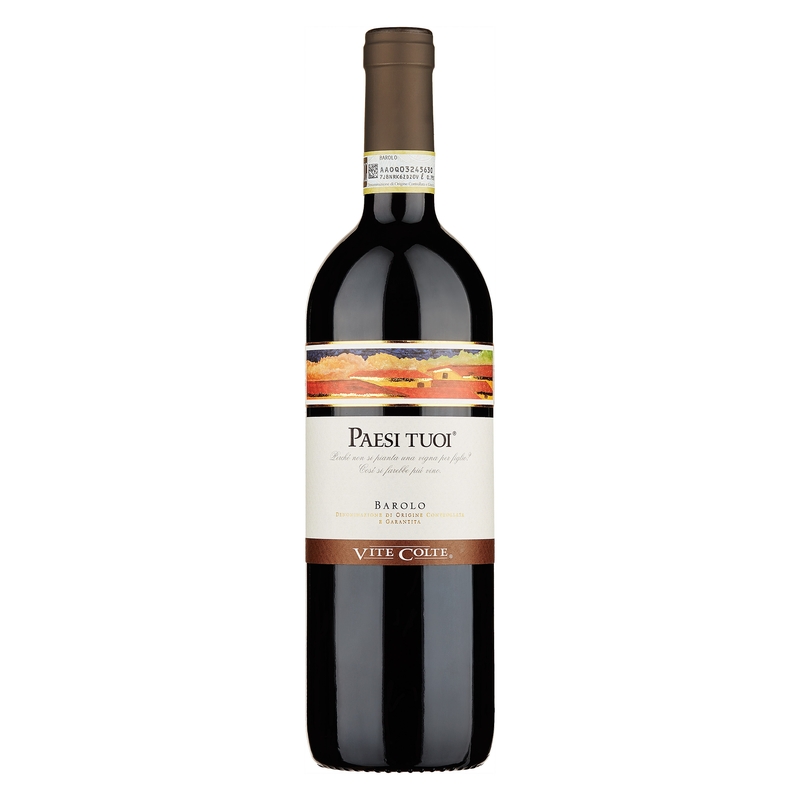 Dry, savoury and balanced on the palate. A very harmonious tannic structure outlines the contours, progressing through to a beautifully persistent finish. 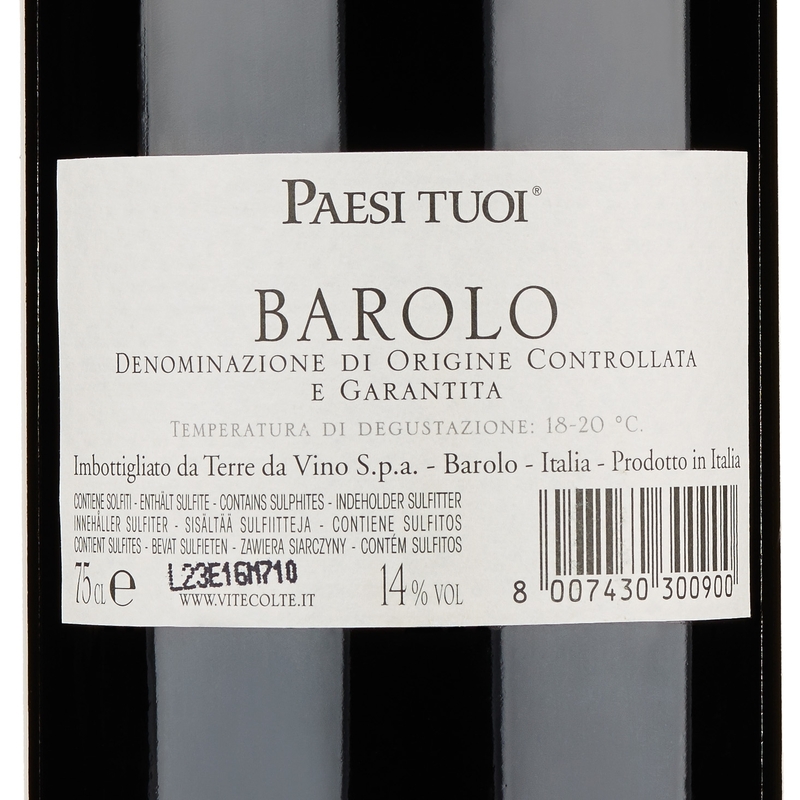 A very traditional Barolo made from a blend of grapes from the two finest areas for this historical wine. 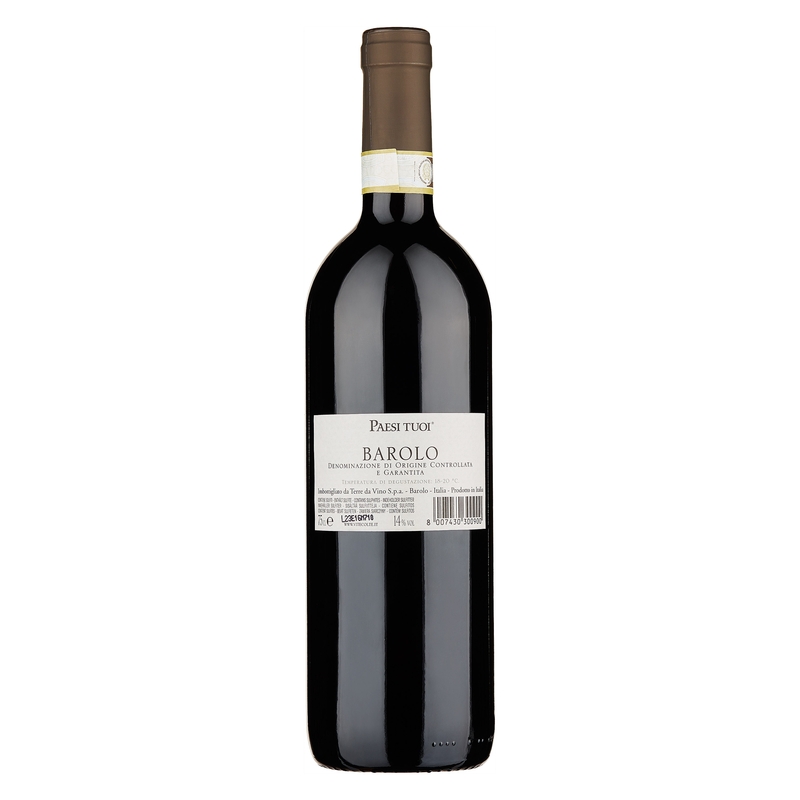 The Helvetian area, where Barolo with great character and structure is made, and the Tortonian area, famed for its elegant, aromatic wines. 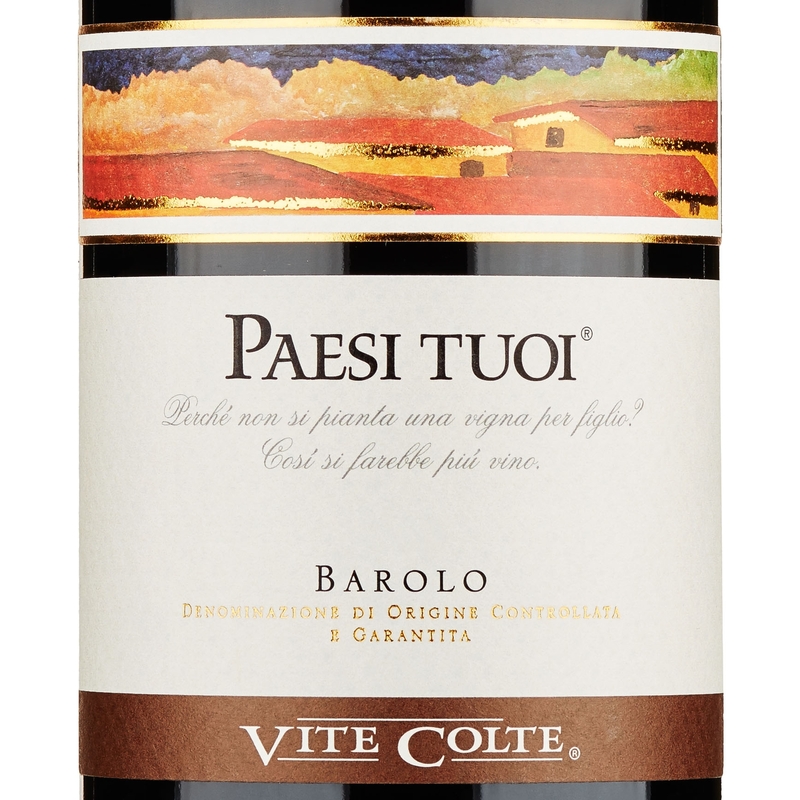 After spending at least two years in large oak barrels, Terre da Vino's Barolo DOCG "Paesi Tuoi" is a Barolo of decisive elegance and balance, just waiting to be discovered and returned to after spending years in the cellar.